Click here to register for the 2018 Celebrate Israel Parade on June 3 in NYC! The ZOA marches together with tens of thousands of other groups and individuals through the streets of NYC every June for the largest annual pro-Israel gathering in the world. ZOA community members are invited to join our march for Israel to celebrate the Jewish state, its people, and its many accomplishments. 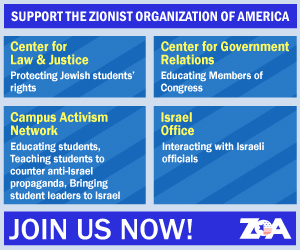 This is a powerful opportunity for individuals to show their united support for Israel through ZOA’s important Zionist messaging (t-shirts included!) and spend the day with other Israel activists to share in one singular valuable message of Jewish freedom. This event has been held annually in New York City since 1964. All community activists, ZOA members, and students are welcome to attend for free.